Battlefield 1942 Mods, Modding Tutorials. Forums and Mod Downloads. • View topic - How to get textures to load properly in BC42? I want to make a modified version of a vanilla Battlefield 1942 map, but it's not loading correctly. It loads without the proper textures. The map loads all white. How do I fix it so I can see it? My other maps seem to be loading ok.
Battlecraft 1942 is loading map without textures. Re: How to get textures to load properly in BC42? 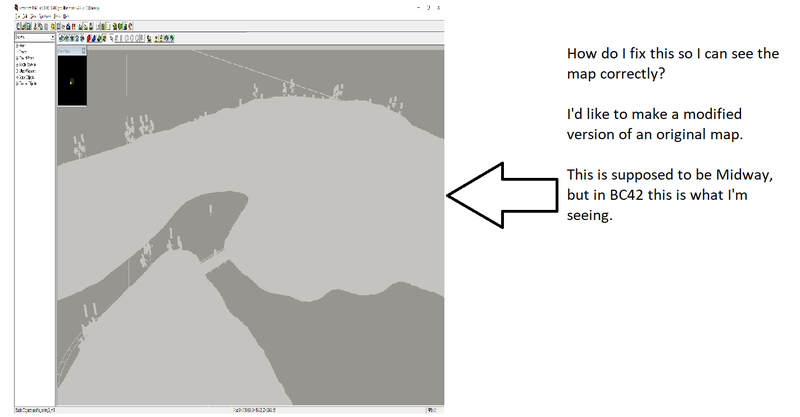 YeOldOne404 wrote: My other maps seem to be loading ok.